Located in a quiet area with relaxing surroundings, this spacious air-conditioned, 2nd floor apartment is fully furnished to make your stay as comfortable as possible including free WiFi, TV (UK TV), DVD, docking station (accepts iPhone), free internet, safe, 2 leather settees, dining table (seats 6) and a fully equipped fitted kitchen. With 2 bedrooms and 2 bathrooms (1 en-suite) it is situated in a quiet block of only 16 newly built luxury apartments serviced by 2 lifts to the 1st and 2nd floors. As it's within a short walking distance of Pernera village you can easily enjoy the numerous bars, restaurants and beaches on offer. Protaras is a 20 minute walk away or a 2 minute bus ride. Bus stops adjacent to development. There is also a beautiful coastal custom built walkway to Protaras. The large, curved balcony has enough room for spacious sunbathing and a table and comfortable chairs to help you relax and enjoy the beautiful sea views. The communal pools include a jacuzzi and a children's pool and benefits from his and her shower/toilet facilities. A newly opened children's water park is approximately 5 minutes walk away. Allocated under cover car parking space with timed lighting after dusk. Many of our guests are repeat visitors and we appreciate the care they take with the apartment, helping to keep it in pristine condition. I have two adult children and divide my time between Northern Ireland and Wales due to business commitments. I chose to buy an apartment in Cyprus as, after many visits, I fell in love with the island and its inhabitants and intend to spend as much time as I can there in the future. After much searching, I found what I believe to be an ideal location, quiet but within a stroll of the excellent restaurants and bars of Pernera and its lovely beaches and within walking distance to Protaras. I've furnished the apartment very much as a 'home from home' with high quality furnishings to afford my guests and myself maximum comfort and enjoyment. Its a beautiful part of Cyprus and you will not be disappointed if you decide to visit. Feel free to call me on 0775 373 9102. I love Cyprus. It has a beautiful climate, lots of history both modern and classical and the Cypriot people are lovely, very friendly and genuine. The apartment is in a tourist area so during the summer season there is lots happening. It is quieter during the rest of the year November to April, but as I am about 10 minutes drive from Paralimni which is busy all year I have the best of both worlds. Some bars/restaurants are open all year in Pernera, I use these months as an opportunity to travel throughout the island, visiting Nicosia, Larnaca and Limassol. The situation of the property allows you to have the holiday you wish for. It can be quiet as the apartment is just outside of the village but you can walk into the centre within 5 minutes. My adult children love the area. The property is very convenient to the village, well within walking distance. A car is not necessary. There are good supermarkets within the area and a good selection of bars and restaurants. About a 5 minute walk to local beaches through the town, lots to see on the way. The bus stop to Protaras and Ayia Napa is just at the apartment exit. The view from the balcony of the apartment is wonderful, through the village down to the sea. I love being able to sit out in the evening as the sun sets with a glass of wine, olives, humus and breads. The ideal place for putting your world to rights. As long as you enjoy some or all of the above, you really will not be disappointed with the apartment. It was bought because of its position in the village, for the view and for the quality of the build. En-suite bathroom to bedroom 1 with shower, wc and wash hand basin. Fully tiled walls and floor. Luxury main bathroom with bath/shower over, wc and wash hand basin. Fully tiled walls and floor. The air-conditioned living area is open plan, patio doors to large balcony and furnished with 2 leather settees, occasional tables and dining table with 6 chairs. DVD player, IPod/IPhone dock and speakers, Internet access, assorted books and DVDs. Ironing board, iron, clothes horse. Fully equipped kitchen with fridge/freezer, washer/drier, oven/hob, microwave, kettle and toaster, iron and ironing board, clothes airer. All essentials including crockery, cutlery, pots and pans. Assorted glassware. Large dining table - seats 8. Attractive shrubbery areas and palm trees. Large curved balcony with sea views. The apartment benefits from a lift making it suitable for those with mobility problems or families with small children in buggies. Shaded parking is adjacent to the door leading to the lifts and stairs. Timed lighting in the car parking area and stairs (operated by switch) during hours of darkness. Notes on accommodation: This apartment has been furnished to a very high standard to provide guests with a comfortable and relaxed home from home. As our second home we have made every effort to ensure that the apartment provides everything for a happy stay. Outside: The large communal pool has an adjoining jacuzzi, a separate child's pool and poolside his and her shower and toilet facilities. There is also a private shaded parking space for those with a car. A new children's water park is less than 5 minutes walk away. Cleaning / Towels / Linen / Maid service: Towels (not beach towels) and linens are included. The apartment will be cleaned for arrival, extra bed linen and towels are supplied. A mid stay clean can be arranged for a small additional cost if required. Basic welcome pack supplied. Lovely apartment with everything you will need for a comfortable stay. The balcony had full sun in the morning and was shaded later in the afternoon which was a welcomed break from the August heat. The sea view was relaxing and many a night we had great views of firework displays too! Location was perfect for us, a short stroll to a couple of bars and restaurants and a small beach. We enjoy a good walk on holiday and would regularly walk into Protaras along the top road or walk along a lovely boardwalk all the way to Fig Tree Bay. The pool was sometimes busy (to be expected during school holidays) but we never felt it was too over crowded and if there were no beds available we had some supplied in the apartment. Communication with the owner was fantastic, as was the communication with the couple who look after the apartment in Cyprus. Overall we loved our first holiday to Cyprus and we will be back soon. It's always lovely to hear how our guests enjoy our Cyprus home and its perfect peaceful location convenient to all amenities in Pernera and Protaras which probably accounts for the number of repeat guests we regularly host. A big thank you for looking after the apartment during your stay, we would certainly welcome you and your family back anytime. Very nice apartment in a great location. The apartment was in a great location, was very clean, and was equipped with everything we needed. We even arrived to a basic welcome pack of tea, milk and sugar. The apartment is looked after by Jackie, who was very helpful and was on hand if we had any issues. The communal pool was excellent, and the fantastic beaches of pernera and protaras were only a short walk away. We had a great holiday and would highly recommend this apartment. Thank you for your kind comments Paul. The convenience of the location is unique in that it is quiet yet within walking distance to all the amenities of Pernera / Protaras. Sometimes access to local information/activities helps make a holiday and having someone like Jackie on hand if needed is certainly a bonus. I'm glad you had a great holiday and are welcome back anytime. The property was excellent and our expectations were realised having read the other positive reviews. It is in pristine condition ...spacious...comfortable..well equipped....an ideal base to retreat to from the busy touristy area.....a pool area that we had largely to ourselves.....no sunbed battles as these are provided from within the apartment. Walking distance to Mojito's for breakfast/lunch/dinner.....plenty of other options nearby......we had family nearby with a car so were able to venture easily into Protaras and other parts of Pernera. The yellow boat trip from the nearby port was so good we repeated it two days later.....bargain 3.5 hours of fun for 10 euro's.Communication with the owner Norrie was extremely efficient and he delivered first class customer service. We would recommend this property and seriously consider a further booking on any future visit to the area. Thanks for taking the time to write the review John and thank you also for looking after our apartment during your stay. The apartment location is ideal for anyone staying in the Pernera area - convenient to everywhere yet quiet and peaceful. I haven't tried the yellow boat trip as yet but if you considered it worthwhile to go twice then I'm thinking I should at least try it once! This apartment is perfectly located for staying in the Pernera/Protaras area. It is very spacious, clean and well equipped for a family stay. The large balcony was used every day for eating meals and relaxing as it was shaded for most of the day and also has lovely views. There is a large swimming area which was never over crowded and the apartment has it's own sun beds, umbrella's. lilo's etc. Airport transfer's were arranged through Jackie and Tony who ensure that all your needs are looked after. We will definitely book this apartment again when we return to Cyprus - thank you Norrie! Your kind comments are much appreciated Lindsey and thank you for looking after our apartment during your stay. It really is perfectly located in Pernera as it's quiet and relaxing yet within a short stroll of lovely restaurants, bars and the beaches. You're very welcome to return in the future and become one our many repeat guests. The apartment is lovely, well laid out and has everything you would need for a holiday home from home. It was lovely to sit out on the balcony in the balmy evenings and the aircon in all 3 rooms was a welcome relief from the mid-day sun when it became too hot (June). Norrie, the owner, left perfect instructions on how to find the place and some great recommendations on where to eat in the evenings. We loved it. Thanks. Thank you so much for taking the time to write such a nice review Paul. Although Pernera is next to the larger resort of Protaras I have found that overall, it has many more quality places to eat which really belies its size. Guests often remark about the benefits of the large curved balcony and the views over Pernera and out to sea. I'm glad you enjoyed your stay and would like to take this opportunity to thank you for taking excellent care of the apartment during your stay. perfect home from home in the sun. We loved this property, it had everything we needed for our two week break and was well laid out and spacious.. Norrie (the owner) gave us loads of tips on the area like where to eat, money exchange, nearest supermarket, bus stop and lots of other useful information on the area. Tony and Jackie who manage the property for Norrie even picked us up at the airport and gave us a quick tour of the area and also recommended places to eat shop and local beaches to visit. Nothing was too much trouble for all of them and we felt like we were staying at a good friends place rather than a rental apartment. We had the pool to ourselves most days and the apartment was in a really quiet spot yet a five minute walk away you could be right in the middle of the resort. We would definitely recommend this property to friends and family and we would definitely stay here again. So glad you both had a lovely time at our apartment. It really is in an ideal location with all amenities nearby. Thank you once again for taking great care of the apartment during your stay and maybe see you again. The apartment sits in an extremely quiet and peaceful location but conveniently just moments from amazing places to wine & dine, entertainment & drinks. You are only 220m (5 minute stroll) from the restaurants and shops such as Mojito Restaurant, Only Fools & Horses pub & Spectum Sports bar plus many convenience stores. A new children's water park is adjacent to Mojitos restaurant. Pernera has a number of small, safe beaches dotted along its coast well within walking distance of the apartment and is only a short 8 - 10 minute stroll to the beach of Marlita Bay (650m) where you can find Blue Spice & Alati restaurants as well as the start of the newly constructed Pernera walkway which takes you to Protarus (20 mins walk). On the Pernera walkway you have a few great places with children's play areas such as Di Capilla seaside stories and Zafiros which both have great food. The beaches are ideal for families with crystal clear waters, beautiful sand, water sports close by, and a selection of restaurants. Pernera itself offers an array of stunning coves and beaches to discover and close to the apartment is a bus stop if you did want to check out other areas such as Protaras, Cape Greco and Ayia Napa. Taxis, quad bikes and mopeds are available for hire in the local area. Pernera also has a very picturesque harbour offering daily fishing trips lasting from 3 to 6 hours. . 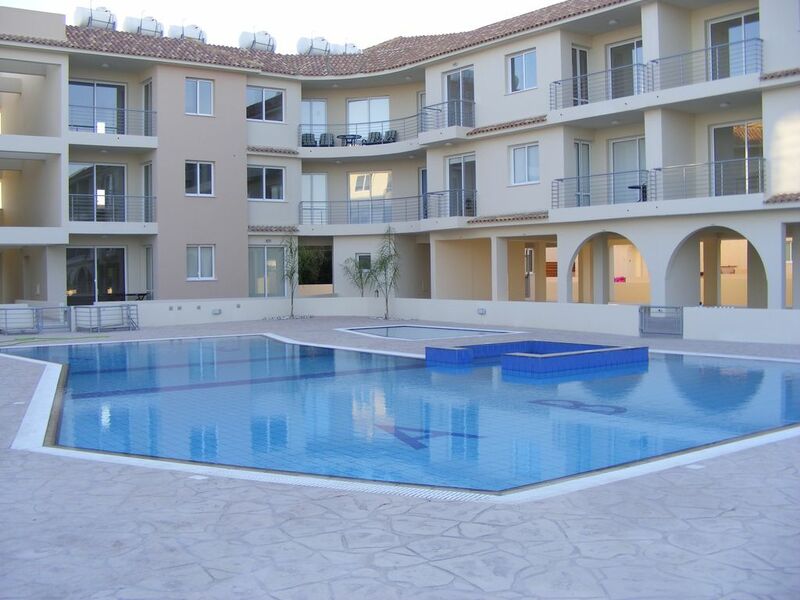 Nearest airport is Larnaca which is approximately 45 minutes drive from Pernera. Most of the journey is travelled on motorway/dual carriage way with all signs in Cypriot and English and driving is on the same side as UK. A car is not essential as the apartment is so close to all amenities. Taxis are also available. Average fare using airport taxis is 70 euros. If required, we can often arrange transfers to/from the airport at a more economical rate. Protaras is 2km and Ayia Napa is about 12km away. Paralimni is about 5km. The apartment is situated in a quiet location in Pernera village and very close to some extremely good restaurants. There is a small cafe (Mandala) close by which provides lovely cooked breakfasts for around 3.5 euros and opposite is an authentic Cypriot restaurant (St Elios) serving local cuisine . The village has ATM facilities, a good range of supermarkets and shops including a pharmacy and the beaches are within an 8 minute walk. There is also a very popular childrens water park within the village (about 5 mins max walk away). Pernera has some great bars and night time entertainment and the busy town of Protaras with its vibrant nightlife is 10 minutes walk or 2 minutes bus ride away. Ayia Napa is a 12 euro taxi ride or a 1 euro bus ride away. The excellent shopping facilities of Paralimni are approximately 5km away. There is a good range of restaurants in the area. One of the most highly rated restaurants, Mojitos is literally 4 minutes walk away. There are many local car hire companies some of which also hire quad and motor bikes. Diving is very popular and there are various scuba diving establishments and beach activities such as paragliding, paddle boats, glass bottom boats, dolphin spotting trips etc. Booking Notes: A deposit of 25% is payable at time of booking. Balance due 6 weeks prior to departure. A fully refundable damage security deposit of £100 is requested with the balance. (refundable subject to no damages/breakages during your stay and safe return of keys). If you require more information or have any further enquiries, I can be contacted on 0775 373 9102 Changeover Day: The changeover day is flexible. Arrival after 4pm and departure before 12 noon. Later departures or earlier arrivals can be agreed if the apartment is vacant prior to your arrival or after your departure. Notes on prices: Prices are for the property per week in UK pounds. We would be happy to rent the property for longer terms outside the high season.